26 December 2018. 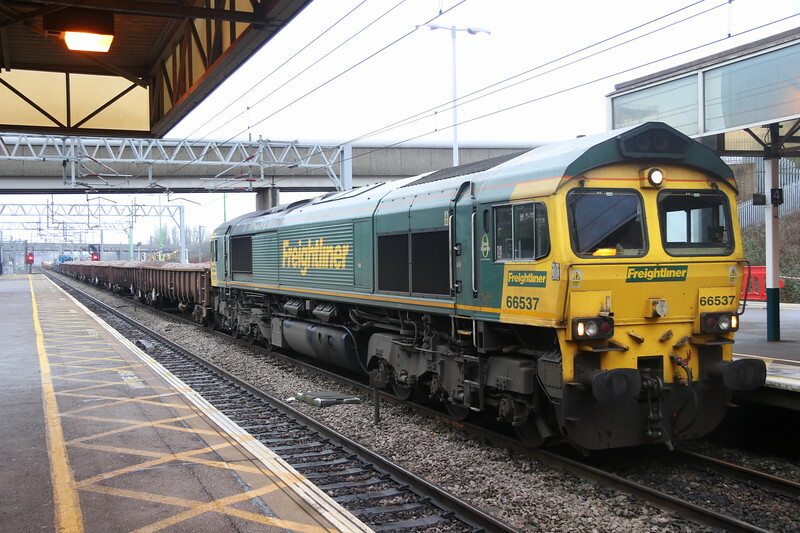 66537 sits with her ballast working at MK. She had arrived on Christmas Eve having worked the 6Y58 Wembley - Bletchley.